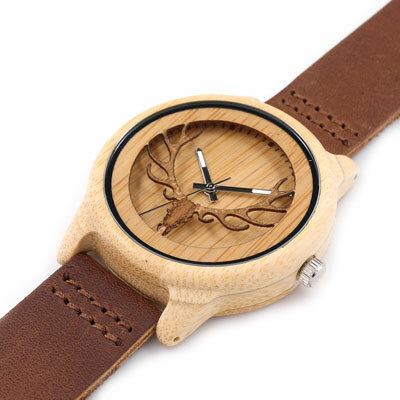 Blending a unique design with quality craftsmanship, this BOBO BIRD Deer Head Bamboo Wood Casual Watch is sure to turn heads AND keep great time! The lightweight, eco-friendly BOBO watch sports a soft leather band, luminescent hands, and an elegant natural polished wood color that goes great with any style or occasion. Measuring 24.5 cm x 4.5 x 1.1 cm, this watch also contains Miyota 2035 Quartz Movement and a Sony battery for long, ultra accurate time keeping. 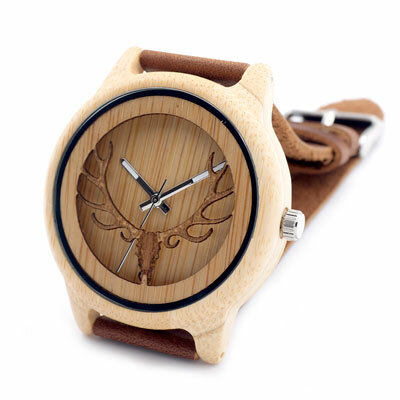 Each handcrafted BOBO BIRD Deer Head Bamboo Wood Casual Watch arrives in an attractive gift box and makes a GREAT gift! 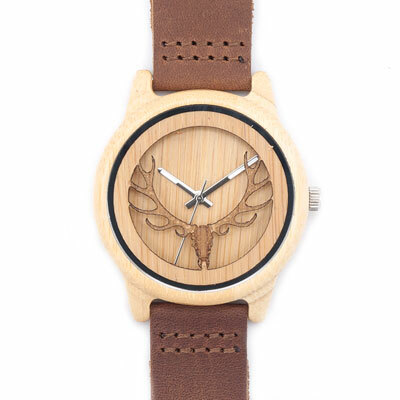 Blending a unique design with quality craftsmanship, this BOBO BIRD Deer Head Bamboo Wood Casual Watch is sure to turn heads AND keep great time! The lightweight, eco-friendly BOBO watch sports a soft leather band, luminescent hands, and an elegant natural polished wood color that goes great with any style or occasion. 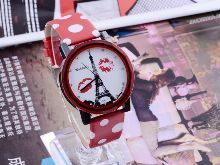 Measuring 24.5 cm x 4.5 x 1.1 cm, this watch also contains Miyota 2035 Quartz Movement and a Sony battery for long, ultra accurate time keeping. 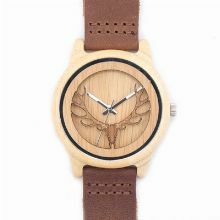 Each handcrafted BOBO BIRD Deer Head Bamboo Wood Casual Watch arrives in an attractive gift box and makes a GREAT gift!